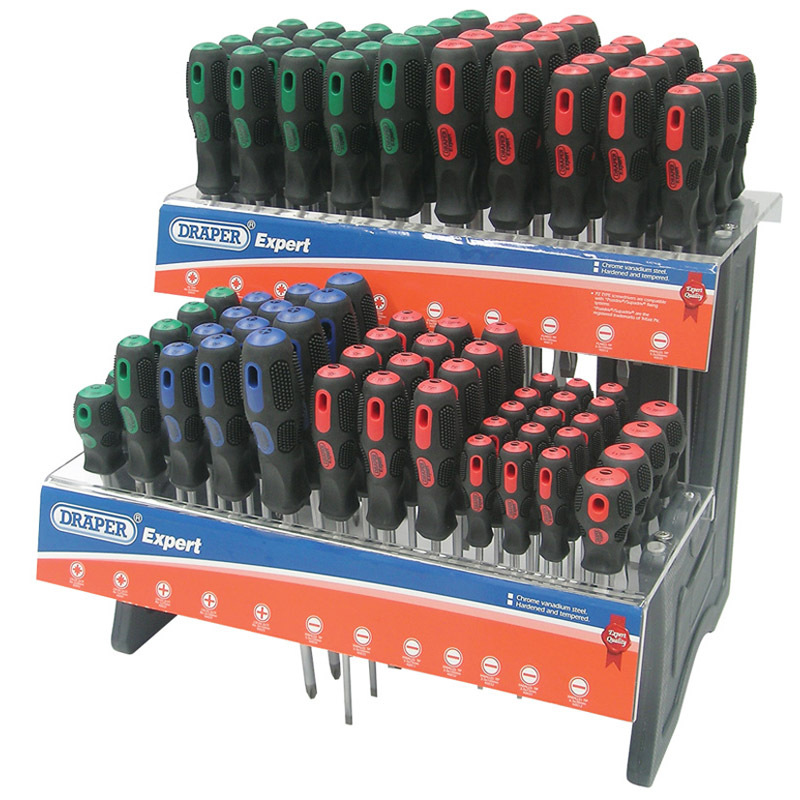 Expert Quality, freestanding acrylic resin display of 91 general purpose screwdrivers with hardened SVCM satin chrome plated blades and sand blasted tips. The handle is manufactured from vulcanized 'soft grip' polymer which is colour coded for easy recognition. Carton packed.